Rob Palmer is a Senior Probation Officer and a semi-professional bass player of twenty-eight years experience, who has played jazz for most of that time. He has performed and recorded with some of the leading British jazz musicians including Jim Mullen, Iain Ballamy, Stan Sultzman, Janusz Carmello, Dave DeFries, Tim Whitehead and Roy Williams. His ambition is to play with one of these guys twice. 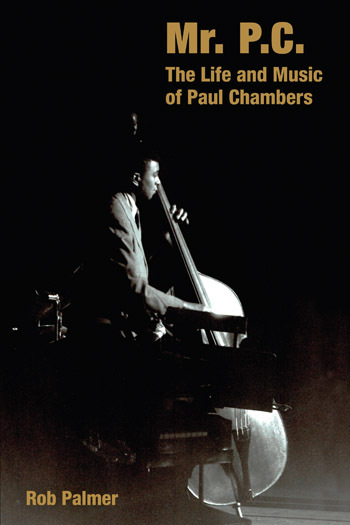 Named one of the best books of 2012 by The New York City Jazz Record Winner of the 2013 Association for Recorded Sound Collections Award for Excellence in Historical Recorded Sound Research in Jazz During his thirteen year career, between 1955 and 1968, Paul Chambers was one of the leading double bass players in jazz, performing with a variety of artists and in a range of the music’s sub-genres. He recorded over three hundred LPs for labels such as Blue Note, Riverside, Mercury and Columbia Records. Chambers performed as a sideman with many of the greatest names in jazz including Miles Davis, John Coltrane, Cannonball Adderley, Sonny Rollins, Wes Montgomery, Joe Henderson, Bill Evans, Wayne Shorter, Herbie Hancock, Hank Mobley, Lee Morgan, Gil Evans and Freddie Hubbard. He recorded a half dozen albums under his own name that included his own compositions, but is probably best remembered for his contribution to the greatest jazz recording of all time: Miles Davis’ Kind Of Blue . Mr. P.C. tells the story of this quiet giant of jazz: his early experiences in Detroit, his rise to jazz celebrity, his time at the top, his ultimate struggle against the tides of change enveloping the music that he loved, and the circumstances surrounding his tragic death, aged 33, in 1969. 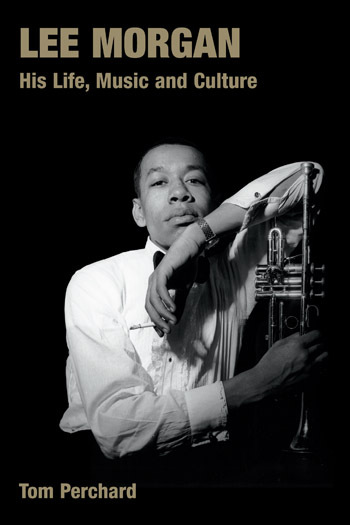 Featuring interviews with family members, friends and colleagues with the jazz fraternity, this book represents the first time that much of this influential musician’s story has been told. It includes a comprehensive discography detailing all of his recordings both as a sideman and a band leader. An introduction to the book. This Chapter looks at the early life of Paul Chambers and the start of his music career in Detroit, the Motor City. This Chapter considers the Jazz scene in New York and Paul Chambers early career upon his move to New York. Paul Chambers is now becoming in demand as a musician. This Chapters looks at the development of his career in New York from 1955-56. In 1956 Paul Chambers began working with the Miles Davis Quintet this Chapter looks at his life and work during this time and his problems with drink. In 1957 Chambers was afforded the opportunity to become involved in a series of, now classic, recordings with Miles Davis, the Birth of the Cool sessions. This Chapter considers those recordings and the events around them. The Miles Davis Sextet was very busy in early 1958 travelling around America. During this time Chambers continued to work on other projects. 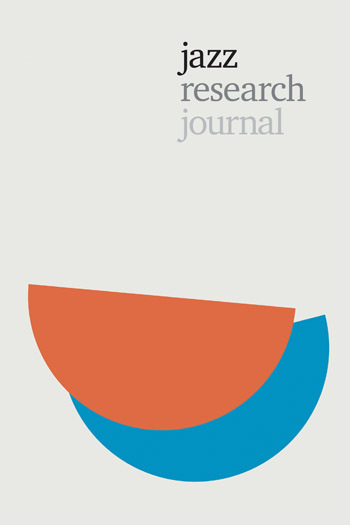 This Chapter looks at the recordings and work of Paul Chambers during 1958. Chapter 7 looks at Chambers work in 1959, the people he recorded with and the development of his music. Paul Chambers worked with John Coltrane for much of this year. In 1959 Paul Chambers worked with Miles Davis on his iconic album Sketches of Spain and on Coltrane Jazz with John Coltrane. This Chapter looks at the events in Paul Chambers life around this time. This Chapter starts at the beginning of 1961, at a time when the work was lining up for Paul Chambers. In 1967 it was noted that Chambers “plays and looks like an old man”. The years of drunks and drugs had taken a huge toll on his health, this Chapter follows Chambers through the final year of his life. Named one of the best books of 2012 by The New York City Jazz Record Winner of the 2013 Association for Recorded Sound Collections Award for Excellence in Historical Recorded Sound Research in Jazz During his thirteen year career, between 1955 and 1968, Paul Chambers was one of the leading double bass players in jazz, performing with a variety of artists and in a range of the music’s sub-genres. He recorded over three hundred LPs for labels such as Blue Note, Riverside, Mercury and Columbia Records. Chambers performed as a sideman with many of the greatest names in jazz including Miles Davis, John Coltrane, Cannonball Adderley, Sonny Rollins, Wes Montgomery, Joe Henderson, Bill Evans, Wayne Shorter, Herbie Hancock, Hank Mobley, Lee Morgan, Gil Evans and Freddie Hubbard. He recorded a half dozen albums under his own name that included his own compositions, but is probably best remembered for his contribution to the greatest jazz recording of all time: Miles Davis’ Kind Of Blue . Mr. P.C. tells the story of this quiet giant of jazz: his early experiences in Detroit, his rise to jazz celebrity, his time at the top, his ultimate struggle against the tides of change enveloping the music that he loved, and the circumstances surrounding his tragic death, aged 33, in 1969. Featuring interviews with family members, friends and colleagues with the jazz fraternity, this book represents the first time that much of this influential musician’s story has been told. It includes a comprehensive discography detailing all of his recordings both as a sideman and a band leader. This book should prove indispensable to students of jazz bass, historians of modern jazz and fans who love hard bop. It constitutes a reference work that every music library should have. Mr PC is a highly authoritative text, constructed with painstaking attention to detail and lucidity… If there is one book that will alter perceptions of the place of both Paul Chambers and his instrument in the jazz pantheon, then this is it. The research into Chambers’ final years is enlightening and this is an excellent opportunity to re-evaluate his massive contribution.